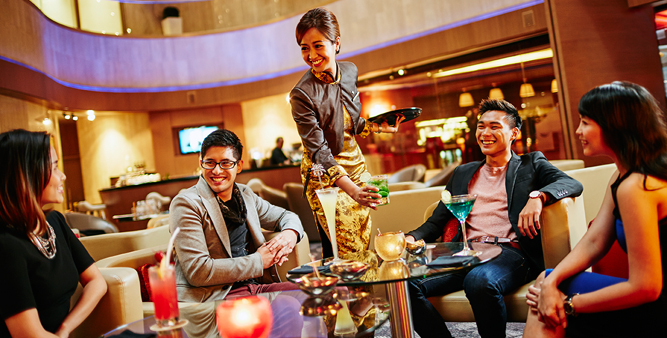 OUE’s hospitality assets include award-winning upscale hotels in strategic city locations and resort destinations in Singapore and Malaysia, as well as luxury serviced residences in the heart of Singapore’s Central Business District, meeting the needs of discerning business and leisure travellers. 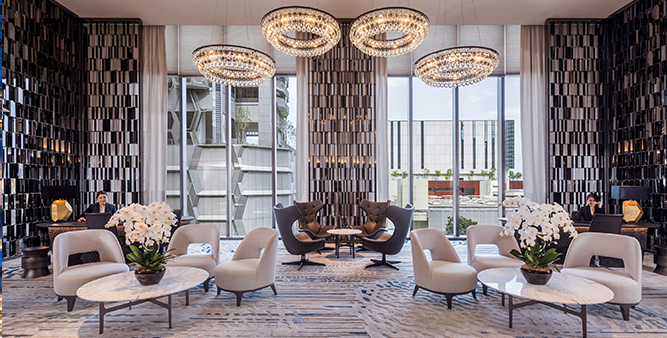 Oakwood Premier OUE Singapore is the serviced residences component of the redeveloped OUE Downtown, occupying the 7th to 32nd storeys of the 50-storey OUE Downtown 1 in the heart of the Central Business District. It is managed by Oakwood Asia Pacific Ltd, which operates an award-winning portfolio of the finest residences in the world. Oakwood Premier OUE Singapore’s 268 serviced residences comprise 82 studio units, as well as 139 one-bedroom units and 47 two-bedroom units. Designed with a 21st century aesthetic, an intimate oasis is created for those who enter its doors. A contemporary reinterpretation of the concept of “a home away from home” is reflected in the interiors, which feature defined lines and volumes that resemble the landscape of the city, along with a sophisticated colour palette. Residents will enjoy the best in luxury living, curated to meet the needs of international travellers, as well as a range of luxury facilities and services, including private dining, a swimming pool, a fitness centre, executive lounge and boardroom, daily housekeeping, a concierge and more. 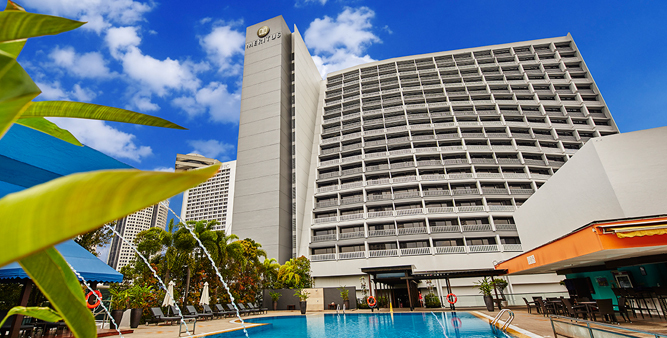 Marina Mandarin Singapore is an upscale business hotel that enjoys an excellent location in the heart of Singapore’s Central Business District. 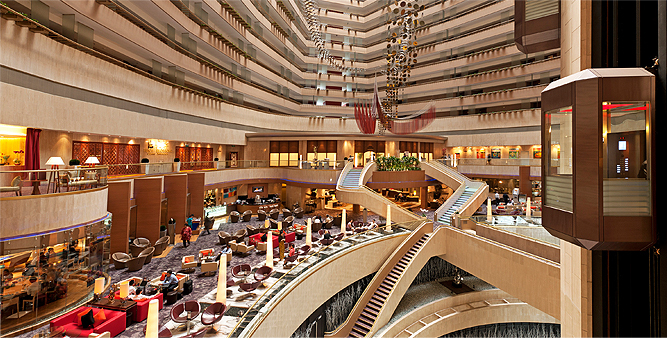 The hotel offers direct access to Marina Square Shopping Mall, and is conveniently located opposite the Suntec Singapore International Convention & Exhibition Centre and the Esplanade – Theatres on the Bay. It is also within walking distance of tourist attractions such as Gardens by the Bay and the Singapore Flyer. 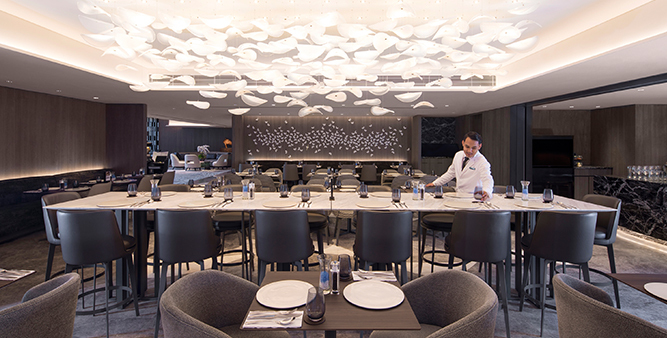 Marina Mandarin Singapore ranks high on the list of all-time favorite hotels amongst avid Formula One fans as it is ideally situated on the trackside of the annual Singapore Grand Prix Formula One race. 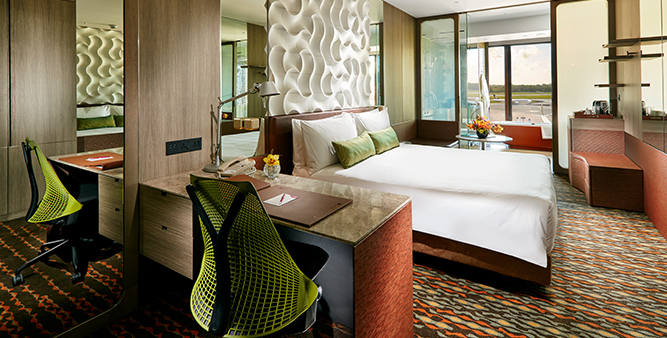 The hotel boasts 575 guestrooms and 20,000 sq ft of meeting and function spaces that spell stylish versatility and modern convenience. The column-free Marina Mandarin Ballroom can accommodate up to 700 guests, whilst the elegant Vanda Ballroom allows for up to 300 guests. In addition, a selection of 12 meeting rooms is available to accommodate smaller business-style gatherings. Every meeting and function space is enhanced with advanced audio-visual equipment and efficient connectivity. 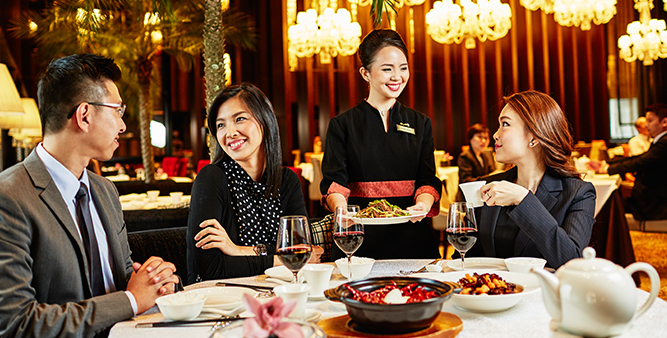 Marina Mandarin Singapore was ranked in several categories in the Singapore edition of Le Concierge Orient Top 10 List, including Top Ten Luxury Hotels Singapore, Top Fine Dining Chinese Restaurants, Top Afternoon Tea Experiences, and Top Nightspots. 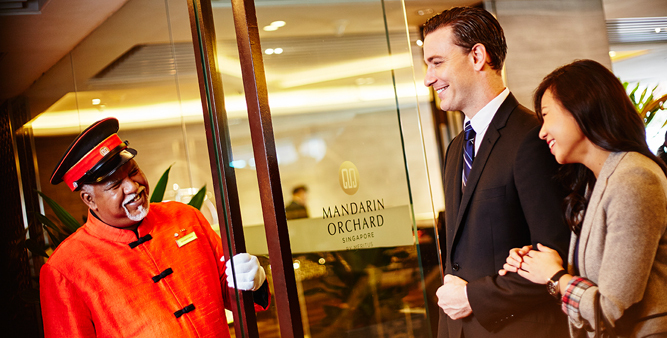 Mandarin Orchard Singapore is OUE’s flagship hotel, a well-recognised icon of Asian hospitality in Singapore. It is strategically located in the heart of Orchard Road, next to the junction with Orchard Link and close to Mount Elizabeth Hospital, and approximately three km from the city centre. 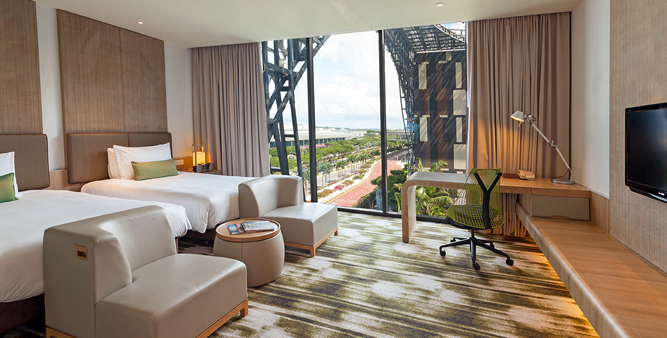 Accessibility to other parts of Singapore is enhanced by the hotel’s close proximity to main arterial roads and the nearby Central Expressway. The Somerset and Orchard MRT stations are within walking distance, with both stations being two to three stops away from the key interchange stations of Dhoby Ghaut and City Hall. 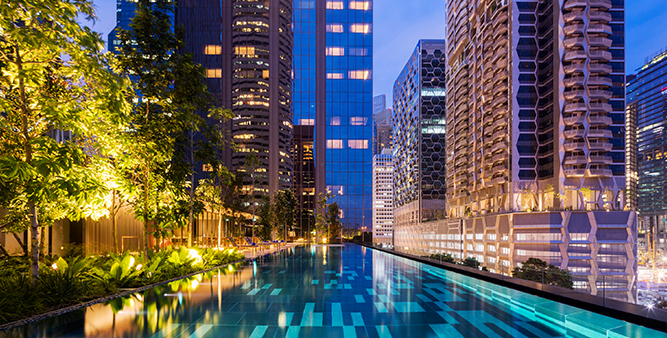 Key business districts such as the CBD and the Marina Bay area are approximately a 10 to 15 minutes’ drive away. 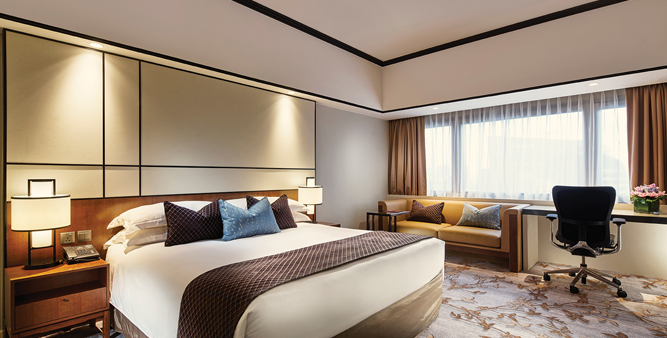 The hotel boasts some 1,077 spacious guestrooms and suites, features over 30,000 sq ft of meeting and function space, including a grand ballroom, and an award-winning lineup of restaurants, including all-time favourite Chatterbox, and Shisen Hanten by Chen Kentaro, which was awarded two stars in the Michelin Guide Singapore in 2016 and 2017, making it the highest Michelin-rated Chinese restaurant island-wide. 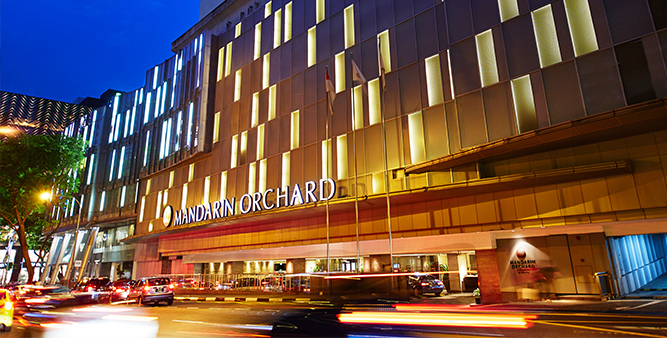 Mandarin Orchard Singapore was recognised as Best City Hotel Singapore for the fifth consecutive year at the TTG Travel Awards 2017, Asia-Pacific’s most prestigious annual travel awards programme honouring the best organisations and individuals in the industry for their outstanding achievements and contributions. Mandarin Orchard Singapore was also awarded Best Upscale Hotel Asia Pacific at the Travel Weekly Asia Readers’ Choice Awards 2017. 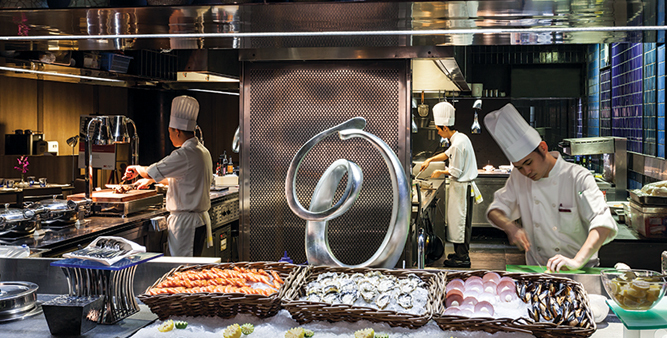 The hotel is part of OUE Hospitality Trust’s portfolio. 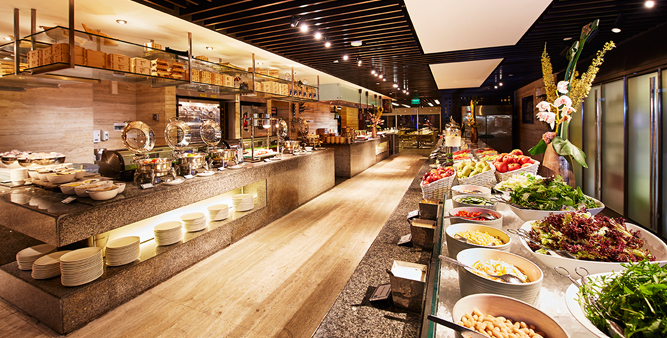 Crowne Plaza Changi Airport is a 563-room business hotel strategically located within the vicinity of the passenger terminals of Singapore’s Changi Airport. The hotel was officially opened in 2008 with 320 guestrooms. It was subsequently expanded with a 10-storey, 243-room extension, which began operations on 1 August 2016. The original building and its extension are connected by a link-way on the second floor of both the buildings. 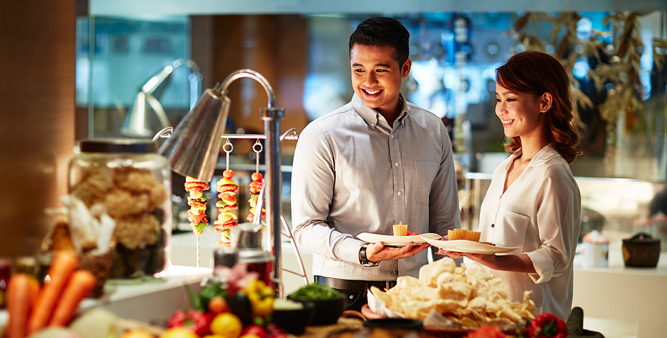 Crowne Plaza Changi Airport is seamlessly linked to Terminal 3 on both the arrival and departure levels and is easily accessible from Terminals 1 and 2 by the airport Skytrain. It is also within a short distance of Changi Business Park and Singapore Expo, and downtown Singapore by expressway and the Mass Rapid Transit. 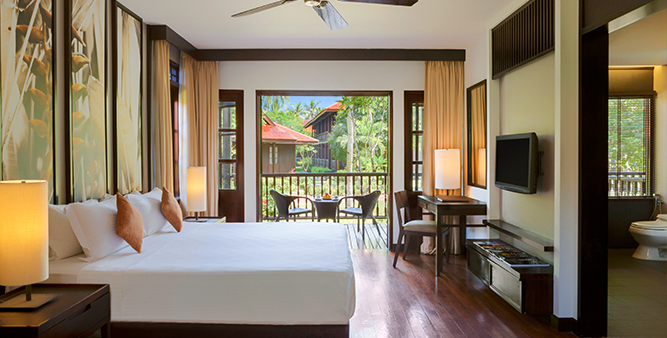 Designed by award-winning architectural firm WOHA, the hotel’s nature-inspired architecture, interiors permeated with Asian influences, lush gardens and landscaped pool create an urban resort feel. 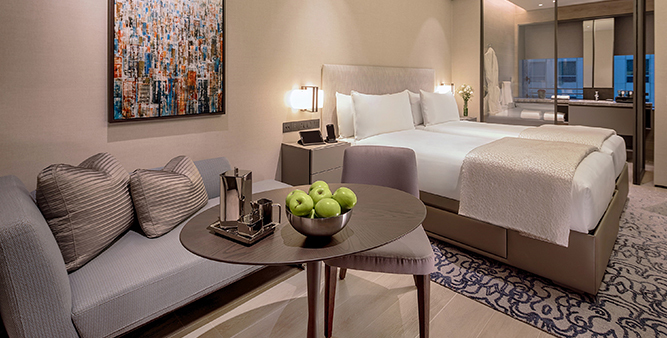 Its well-appointed guestrooms are innovatively designed to optimise room space for both rest and work, and are insulated from the noise of the airport environment. 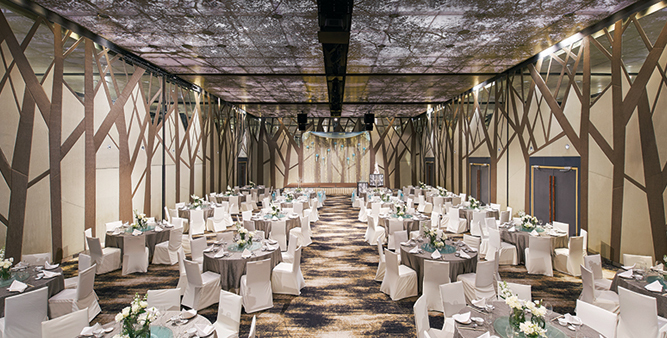 Crowne Plaza Changi Airport’s conference and banquet facilities are equipped with state-of-art audio technology and comprise eight meeting rooms, including the pillar-less Chengal Ballroom. 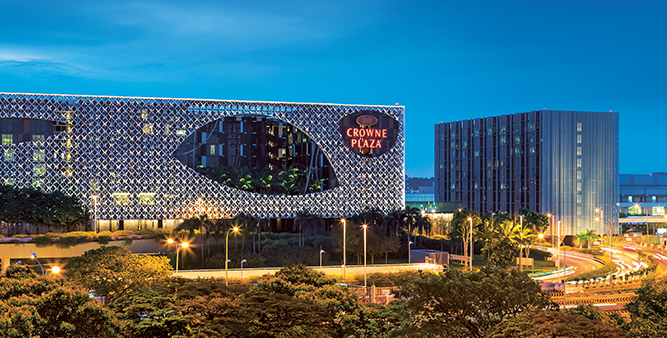 Crowne Plaza Changi Airport was named the Best Airport Hotel in Asia and the World’s Best Airport Hotel in the Skytrax World Airport Awards for the fourth consecutive year in 2018. 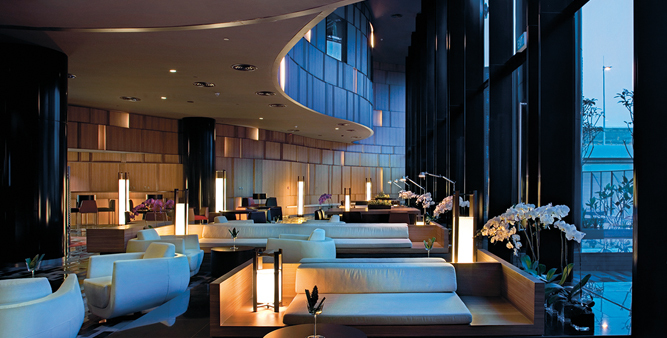 The awards are based on nominations by over a million airport hotel guests worldwide, spanning 65 nationalities. In recognition of the hotel’s outstanding commitment to environmental conservation, Crowne Plaza Changi Airport received the Distinction Award at the 2016 3R Awards for Hotels by the Singapore Hotel Association and the National Environment Agency, and was one of the top 10 hotels in Singapore to be presented the biennial ASEAN Green Hotel Award 2016-2018. 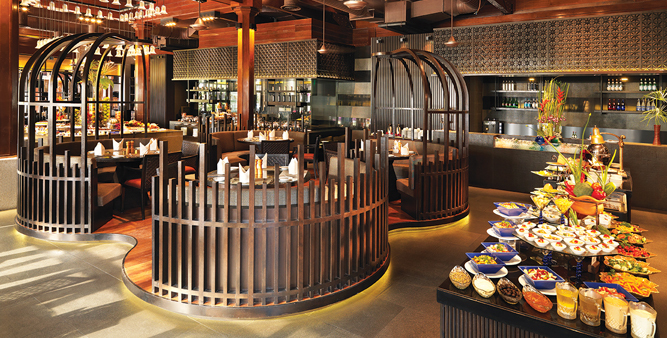 Crowne Plaza Changi Airport is part of OUE Hospitality Trust’s portfolio. 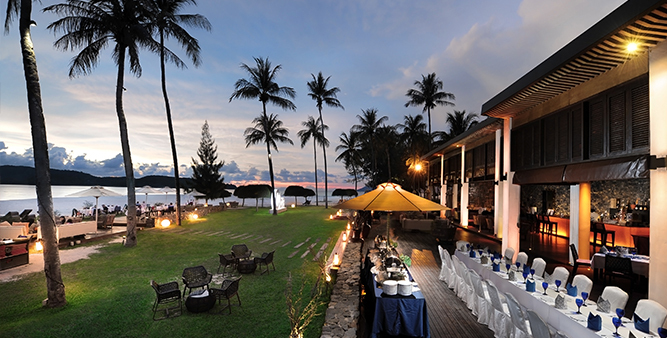 Designed like a traditional Malay ‘kampong’ (village), the picturesque Meritus Pelangi Beach Resort & Spa, Langkawi spreads over 35-acres of landscaped garden along a one-kilometre stretch of white sandy palm-fringed beach. 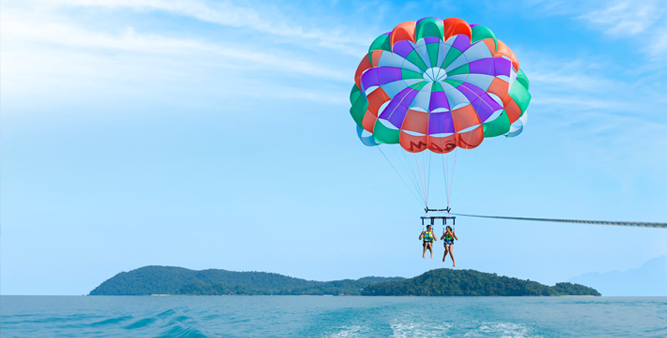 Featuring 355 air-conditioned rooms/suites in single and double-storey wooden chalets on stilts with verandas and equipped with modern 5-star conveniences, its facilities include water sports and an indulging luxury spa, Pelangi Spa. 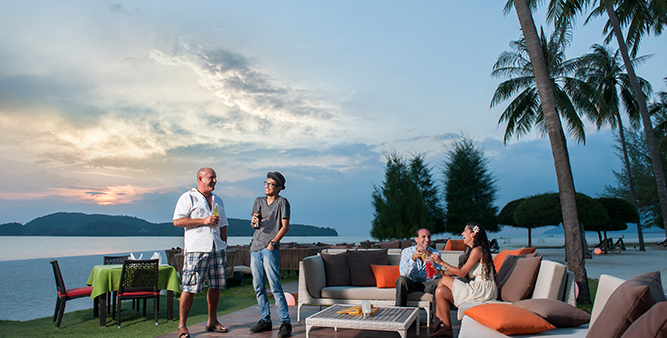 the resort offers an unrivalled refreshing meeting experience. 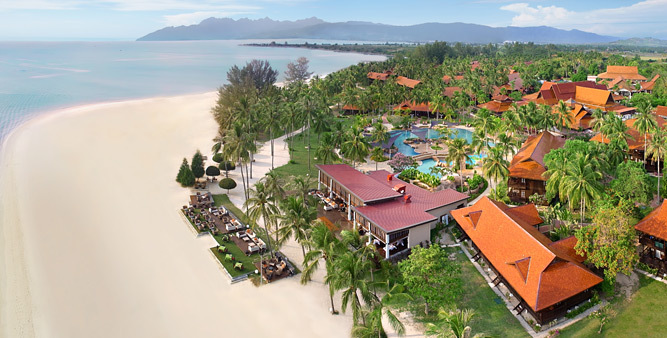 Meritus Beach Resort & Spa, Langkawi was listed on Ctrip Travellers’ Top Spots 2017 as Best Resort, and both the resort and Spice Market received the TripAdvisor Certificate of Excellence 2017.